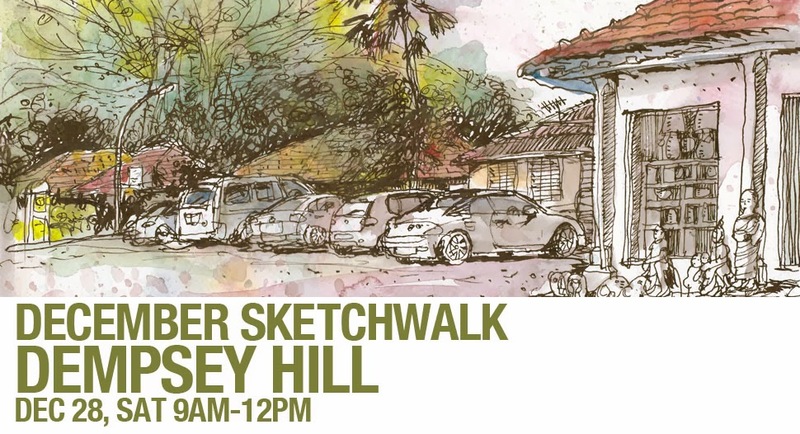 The Urban Sketchers Singapore have voted and the winning location this month is Dempsey Hill. Let's do it slightly earlier this month so it will be cooler. We will meet 9AM at Block 9 on Dempsey Hill, outside Jones The Grocer. There we will have a short briefing and you can spread out in any direction to draw. The area has lots to explore so don't just stick to the main area. At 12PM we will meet back again at Jones The Grocer where we will do our show and tell. There isn't an MRT to gets to Dempsey Hill but there are some shuttle buses listed on their website (http://www.dempseyhill.com/location.htm) There are also quite a few public buses that pass by. Most of them can be boarded from Orchard Road. And then it is a short ride and walk to Dempsey. If you are really lost, you may call Andrew at 91070735. But only if you are really lost. 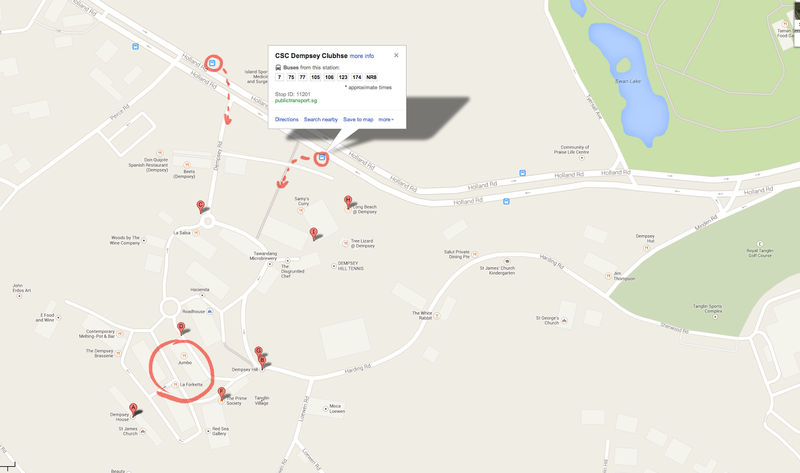 If you are late, no worries, just look for sketchers scattered around the area and approach any of them. I don't think you can miss us. See you there! Remember the new timing. 9AM-12PM. Happy Holidays!